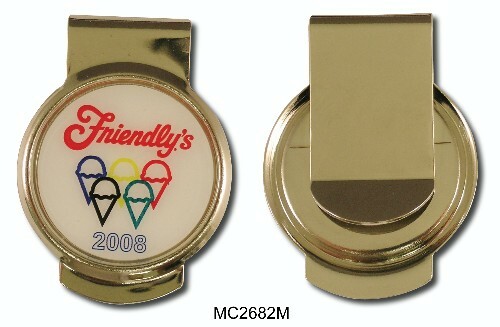 Sturdy leather wrapped metal clip holds an ample amount of bills securely. 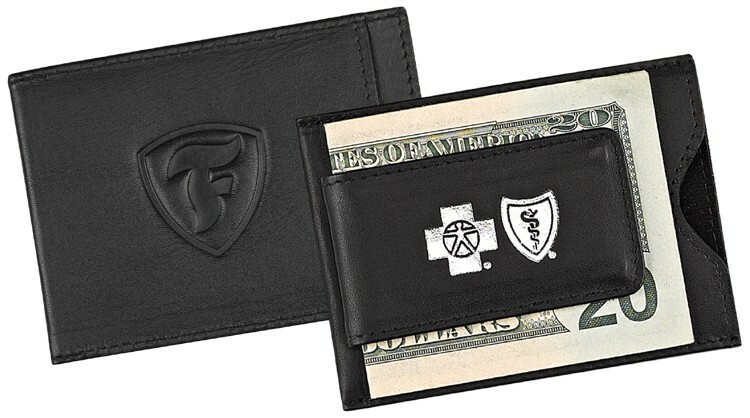 In addition to the strong clip this wallet also has four additional pockets in a slim and elegant design. 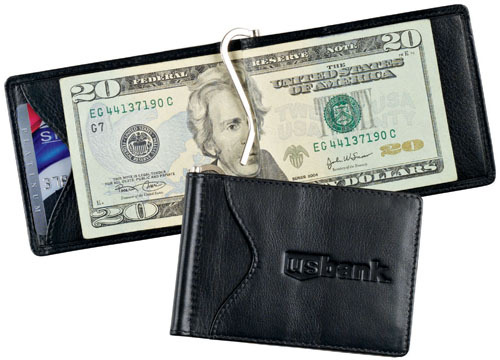 It's our leather magnetic money clip with a pocket for credit or business cards. Strong twin magnets hold an ample supply of bills securely. 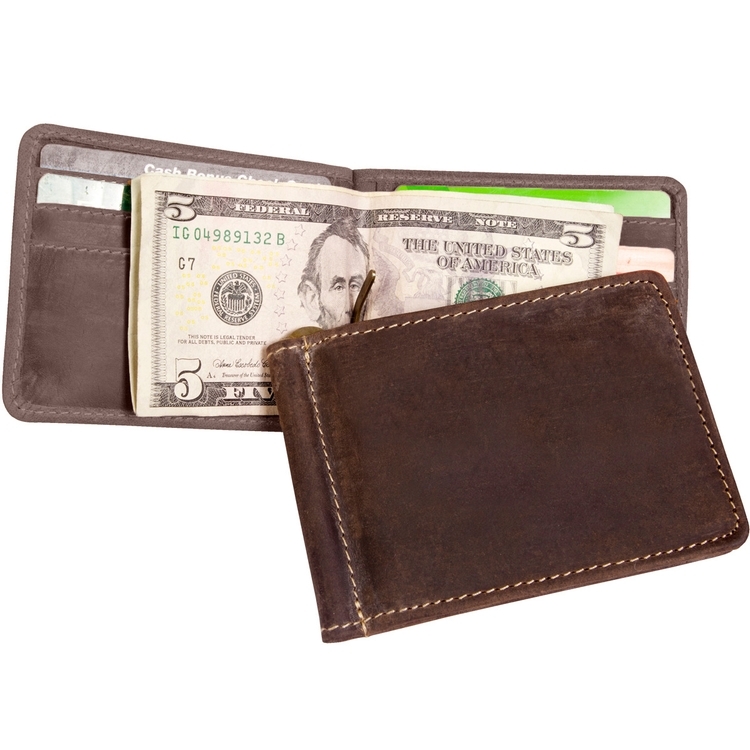 A simple slim-line bi-fold-over wallet featuring an interior metal spring-loaded money clip. Easy to access, thin to carry. Radio Frequency security (RFID) blocking prevents electronic pick pocketing. 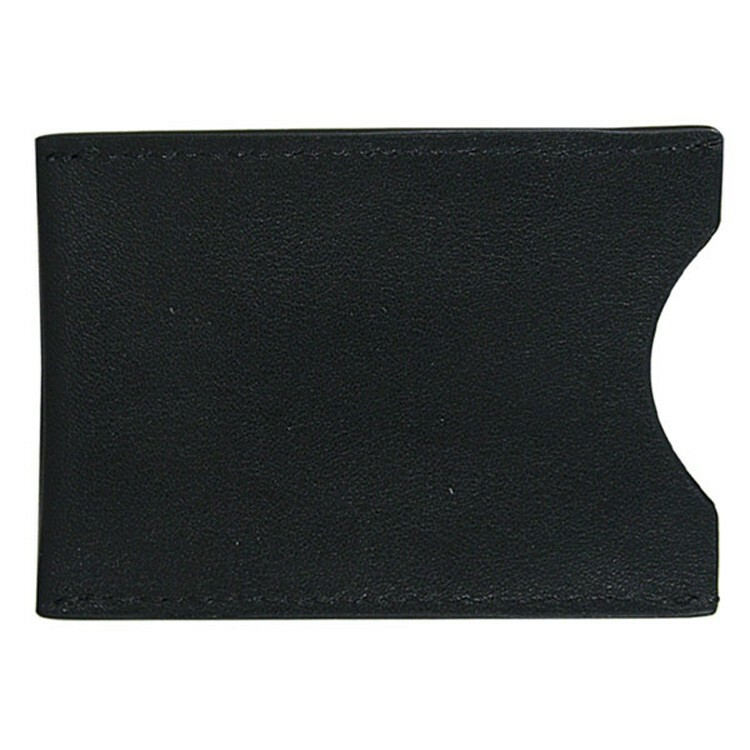 Perfect size for use as a front pocket wallet. 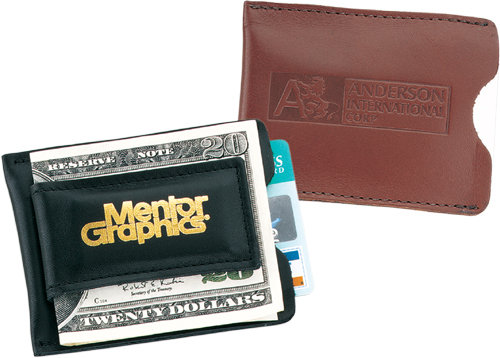 Combine streamlined simplicity with everyday elegance and create a promotional gift that's sure to please with the Wilson Canyon Money Clip. This compact clip is made using full grain buffalo hide. 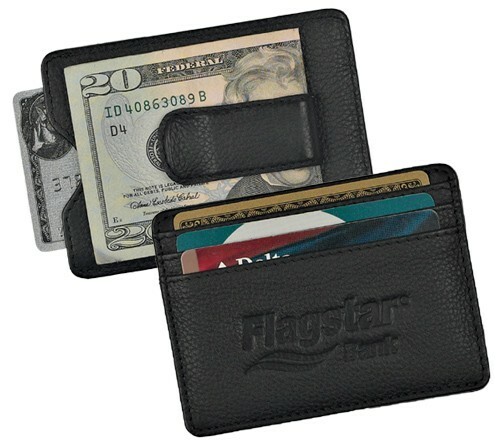 It's small and compact enough to slip easily into pockets while providing a strong, secure hold with a magnetic grip. 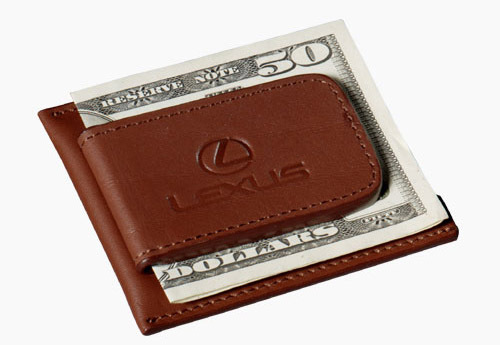 It's our magnetic money clip in supple leather with a pocket for credit or business cards. Strong twin magnets hold an ample supply of bills securely. Trim the fat, ditch that bulky wallet, and get with the money-clip program. 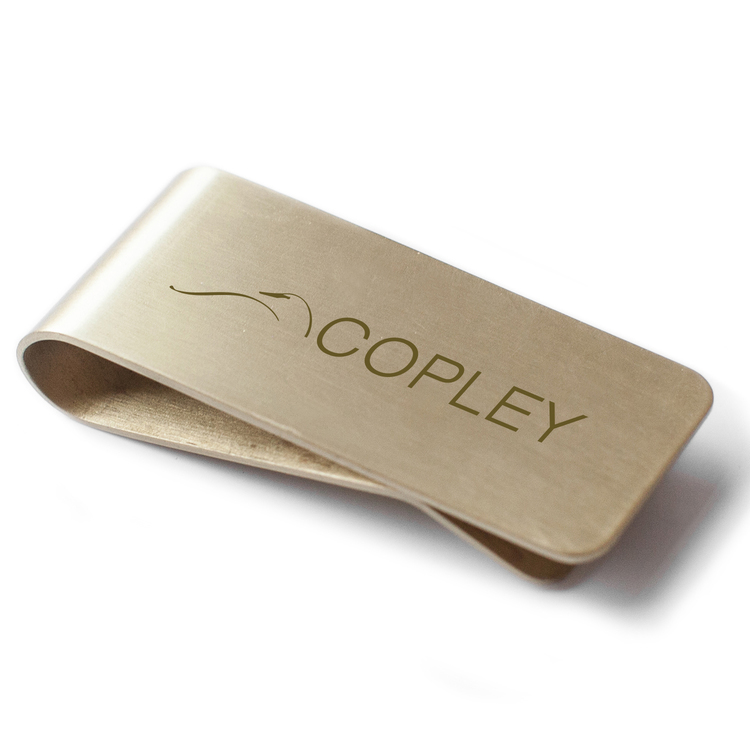 This stylish, high-quality brass plated money clip comes in a gold foil stamped gift box. 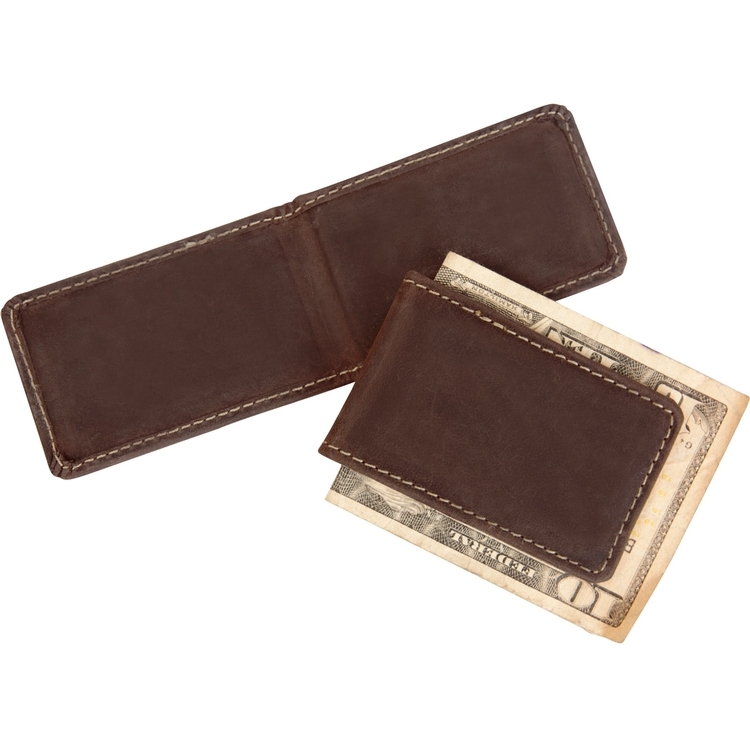 This leather magnetic money clip features an outer pocket for cards and a strong clip to hold plenty of bills. It’s a top quality gift for a business person or golfer.